* Enjoy a pint of Guinness or your favorite ale in our festive personalized Shamrock Mug, just right for St.
* Patty's Day or any other celebration that calls for a good brew. * This gracefully-shaped 25 oz. 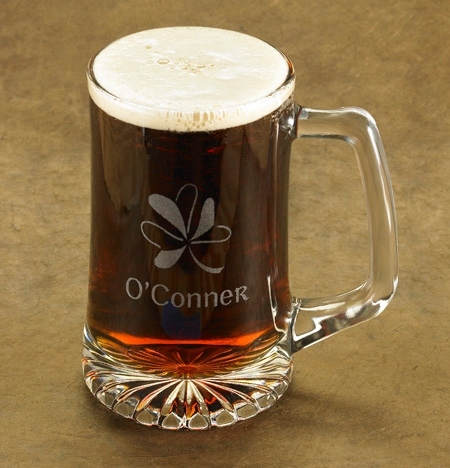 * Mug is laser etched with an attractive shamrock pattern and includes the name of the recipient.